What are my alternatives for marketing grain? Proper grain marketing is an essential part of operating a grain farm. Markets have become increasingly volatile in recent years, which further emphasizes the need to have a marketing plan in place. Developing a realistic plan to avoid price discounts, to manage price risk, and to obtain the best available price for the crop can help you avoid situations where the health or survivability of an operation is compromised. An effective marketing plan should be based on what would “normally” be best and should focus primarily on risk management. One of the best pieces of advice when it comes to marketing crops is that if you can pencil in a profit, just do it. There are several alternatives when marketing corn or soybeans. The first alternative is selling the crop on the cash market with no other strategy in place. While this is a common practice used by many producers, it may also be the most risky. Another common alternative that producers use when marketing their grain is forward contracts. A forward contract is defined as an agreement to buy or sell an asset at a certain time for a certain price. More specifically, a grain farmer using a forward contract is entering an agreement with his/her local grain elevator to sell their grain at a certain price and to deliver the grain to the grain elevator at harvest time. 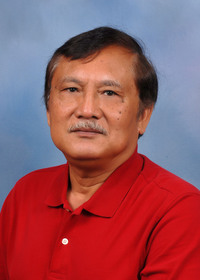 This agreement is typically made during the growing season, but it can easily be made before the crop is even planted. A third alternative is to use the futures market. The futures market is similar to a forward contract in that it is an agreement between two parties to buy or sell an asset at a certain time in the future for a certain price. However, futures are usually traded in exchanges and have mechanisms put in place by the exchange to guarantee that the contract will be honored. When a grain producer uses the futures market to sell his/her crop, it is called a hedge. To place a hedge, a grain producer will sell a futures contract, typically sometime during the growing season, and will then buy it back at a later date, usually when the crop is sold on the cash market. 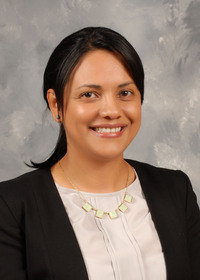 How can grain storage be used in a marketing program to improve returns? Grain storage can offer additional marketing alternatives for producers who have the necessary facilities. The general idea behind grain storage is that grain prices are often cyclical. Prices are typically at their lowest point shortly after harvest because that is when the highest quantity of grain is available. As the season progresses and the supplies of grain begin to dwindle, prices begin to rise and will typically peak in late summer. By storing grain until a later date, a producer can wait out the seasonal price dip around harvest time and market his/her grain when prices are on the upswing. There are exceptions to this rule, such as in 2010 when soybean prices rose from under $10/bu to over $13/bu in December, but on average, the highest prices for corn and soybeans are sometime in mid- to late July, and the lowest prices are typically in October and early November. We compared several marketing alternatives both with and without storage to find how much more a producer could receive from his/her grain when compared to simply selling at harvest time. We assume that harvest time is in October for both corn and soybeans. While an October harvest may be late for many Mississippi producers, it takes into account any harvest delays that may occur. 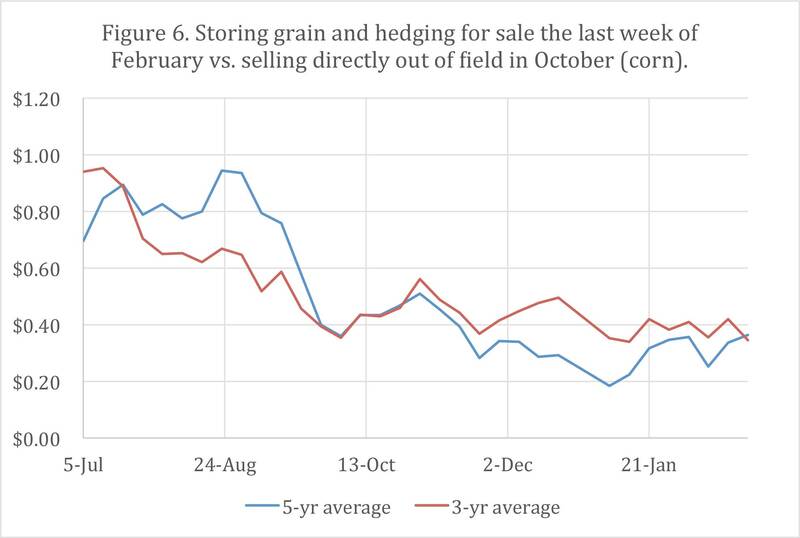 Other than selling the grain on the cash market at harvest time, we examined one other alternative marketing plan that does not include storage: using the futures market to place a hedge sometime between the first week of January and harvest time. For producers who wish to use on-farm grain storage, several additional marketing alternatives become available. The first alternative that we looked at is storing the grain and marketing it at a later date on the cash market. This gives you the flexibility of marketing the grain at any point you feel you can receive the best available price. The second alternative we looked at is placing a hedge sometime during or after the growing season to sell the grain at a later date. The sale dates we looked at are the last weeks of February, April, and June. Those dates were chosen to coincide with the March, May, and July futures contracts for both corn and soybeans. How much more can I receive by using grain storage to enhance my marketing plan? 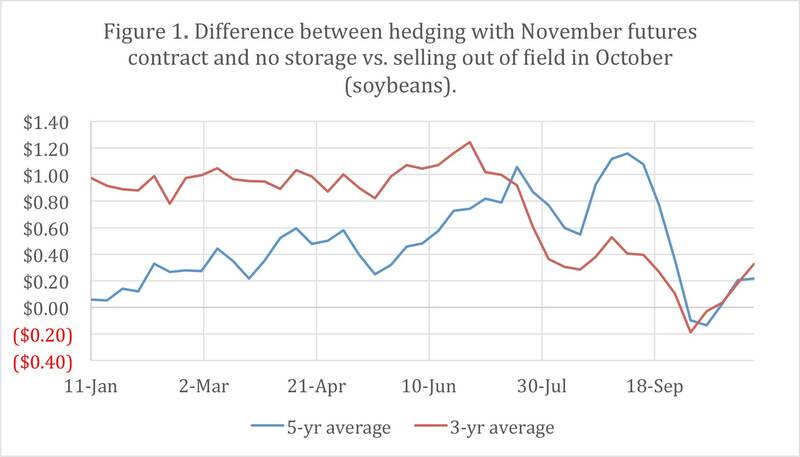 As shown in Figure 1, the price for soybeans (using the futures market to place a hedge sometime between the first week of January and harvest time while using no grain storage) has ranged from an average loss of $0.20/bu when the hedge is placed late in the growing season to an average gain of more than $1 when the hedge is placed in June or July. 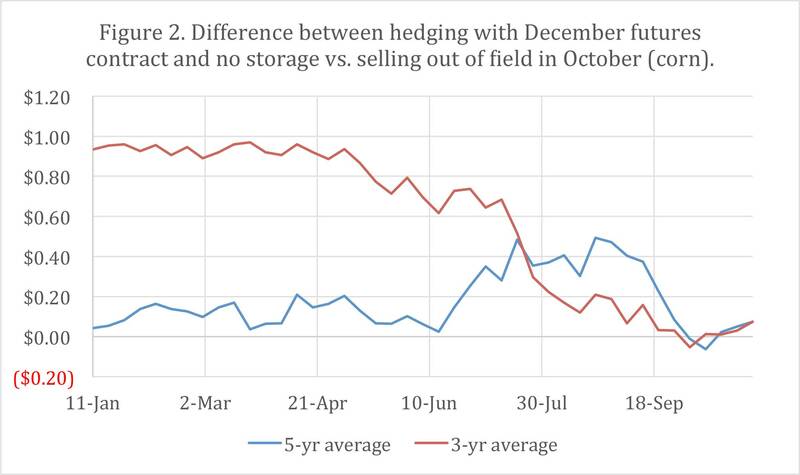 Similarly, over the last 3 years, the additional price for corn (using the futures market to place a hedge sometime between the first week of January and harvest time while using no storage) has ranged from a slight loss when the hedge is placed late in the growing season to an average gain of roughly $0.50/bu when the hedge is placed in July (Figure 2). 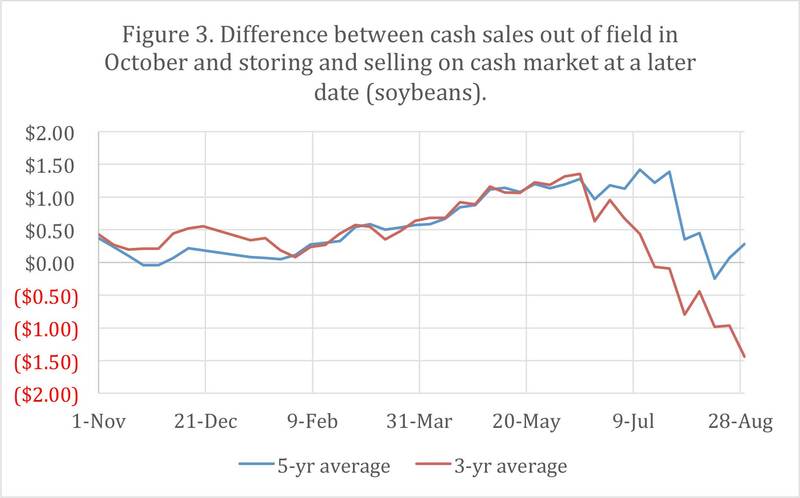 As shown in Figure 3, when compared to selling soybeans on the cash market straight out of the field, storing soybeans and marketing them at a later date on the cash market gained an average of $1.35/bu when the grain was stored until the following summer and an additional $0.50/bu by storing soybeans until April. Figure 4 shows similar results for corn. 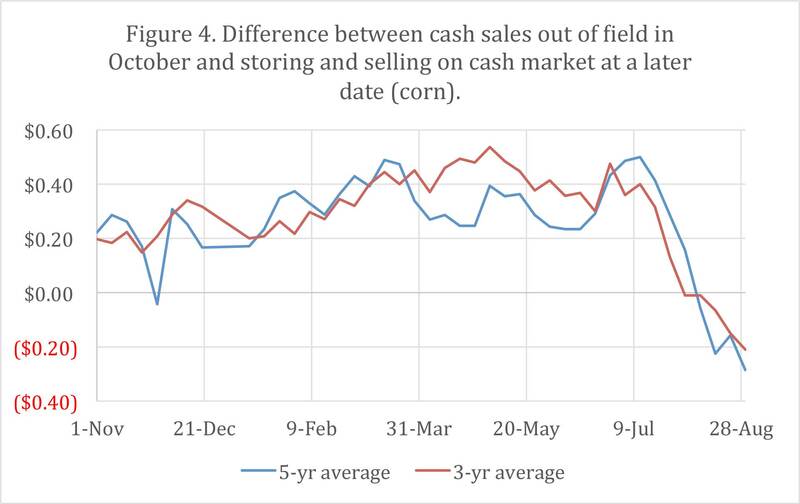 Over the last 3 years, an additional $0.50/bu was gained by storing corn until April when compared to selling on the cash market at harvest time. Using a combination of grain storage and hedging on the futures market can further boost marketing alternatives for producers. 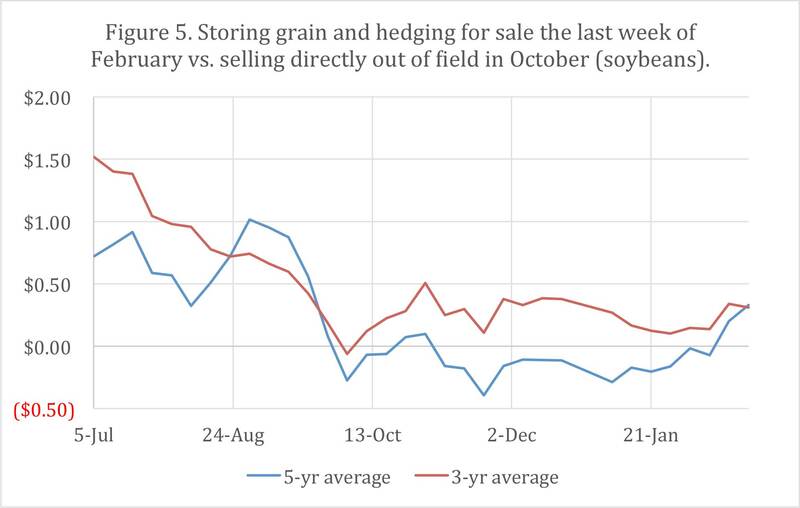 Storing soybeans until late February (while placing a hedge in July during the growing season using the March futures contract) gained an average of $1.50/bu more than simply selling directly out of the field (Figure 5). Using the same strategy for corn will yield an additional $0.90/bu when compared to selling directly out of the field (Figure 6). 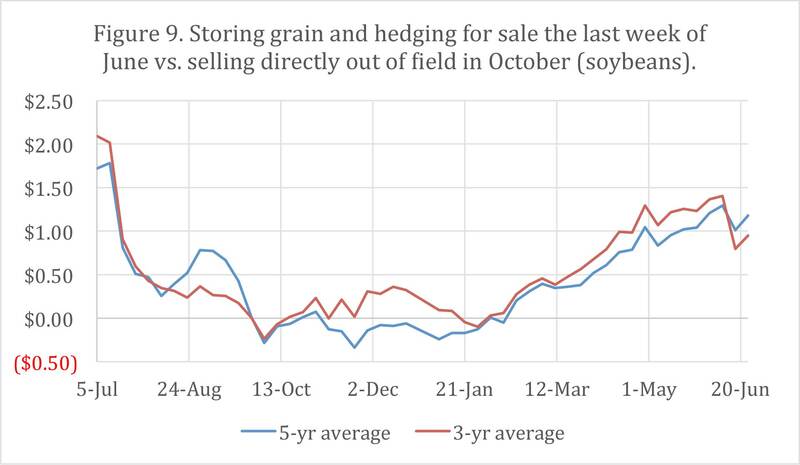 Holding onto soybeans for an extra couple of months and storing them until late April (while placing a hedge in July during the growing season using the May futures contract) yielded an average of $1/bu more than simply selling directly out of the field (Figure 7). Using the same strategy for corn will yield an additional $0.80/bu more than selling directly out of the field (Figure 8). 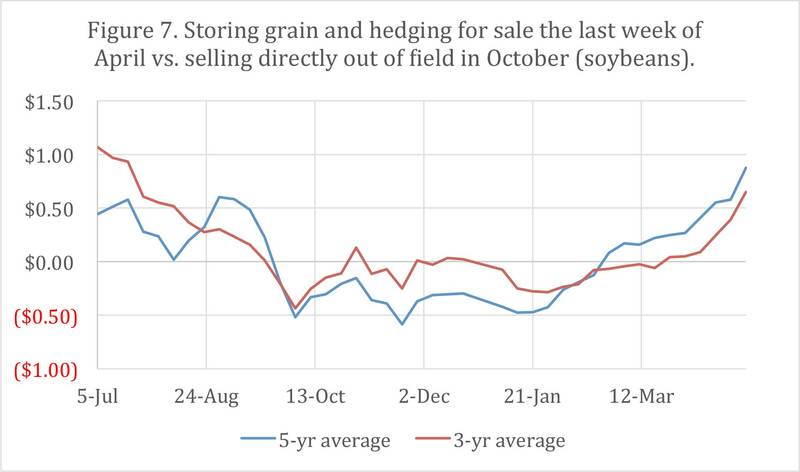 Finally, over the last 3 years, storing soybeans until the following June and placing a hedge in July during the growing season using the following July futures contract gained an average of nearly $2/bu more than simply selling directly out of the field (Figure 9). The same strategy for corn will yield better results than selling directly out of the field (Figure 10). 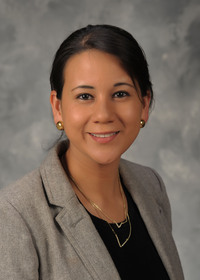 The results of this study have several implications for Mississippi’s grain producers. 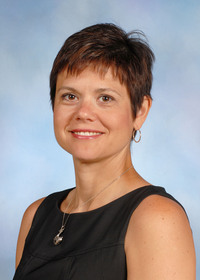 First, the results emphasize the importance of having a marketing plan in place. 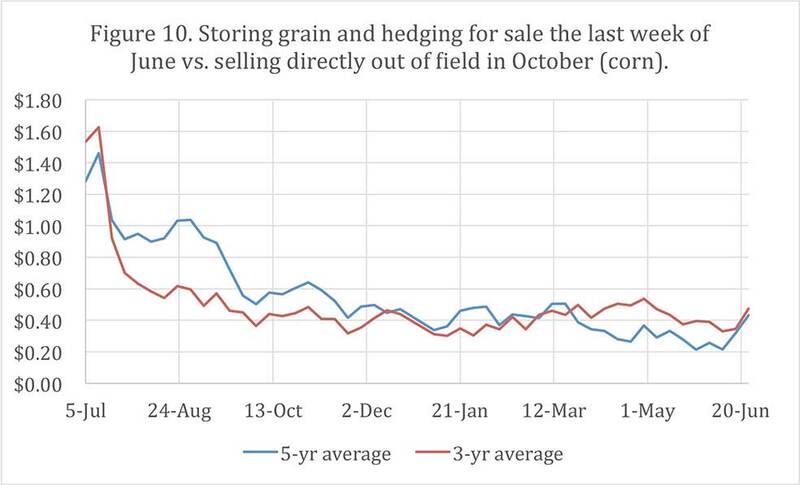 Even without a grain storage system, producers could have gained as much as an extra $1/bu for soybeans or $0.50/bu for corn by hedging in advance using the futures market. That translates into an extra $45 in revenue per acre for soybeans and an extra $90 in revenue per acre for corn, assuming yields of 45 bu/acre and 180 bu/acre, respectively. 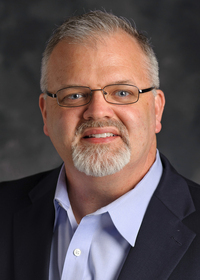 Grain storage systems have the potential to further enhance a producer’s revenue stream. Over the last 3 years, a soybean producer who chose to store grain could have gained an extra $1.35/bu without using the futures market compared to selling out of the field, or an extra $0.35/bu when compared to a producer without storage who used the futures market to hedge his/her price risk. When combining storage and hedging, a soybean producer could have realized as much as $2/bu more than a producer with no marketing plan and $1/bu more than a producer who had a marketing plan but did not have an on-farm grain storage system. That translates into an average annual increase in revenue of $90/acre from using a combination of storage and hedging to market a soybean crop. Corn growers can see similar results. 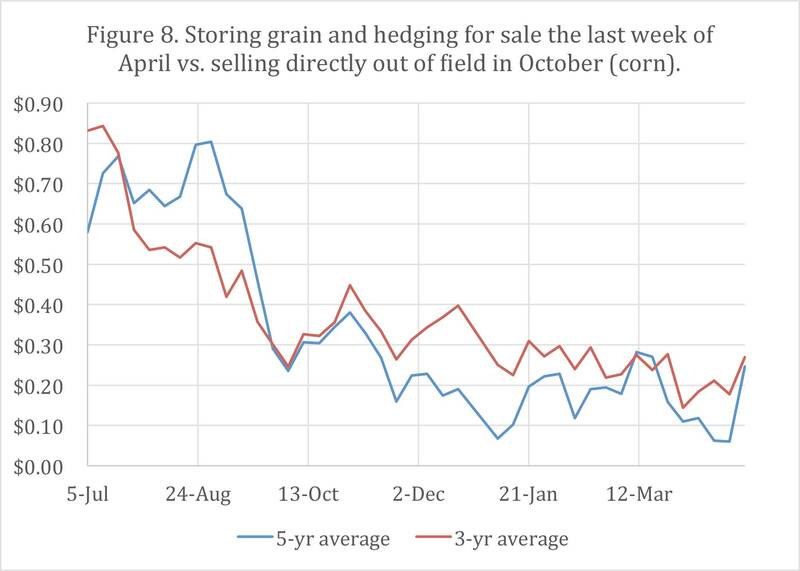 Over the last 3 years, a corn producer who chose to store grain could have gained an extra $0.50/bu without using the futures market compared to selling out of the field in October. When combining storage and hedging, over the last 3 years, a corn producer could have realized as much as $1.50/bu more on average than a producer with no marketing plan, and $1/bu more than a producer who had a marketing plan but did not have an on-farm grain storage system. That translates into an average annual increase in revenue of $270/acre from using a combination of storage and hedging to market a corn crop. For comparison, it typically costs around $0.04 per bushel per month to store grain, not including interest, although this estimate can vary widely depending on moisture content and other factors. While it is difficult to know for sure how much these marketing scenarios might improve gains in individual years in the future, it is reasonable to expect similar trends when averaged over several years. Markets can and likely will occasionally deviate from these trends in individual years, but market fundamentals will always return to similar seasonal cycles in the long term. It is these seasonal cycles that producers should use as a baseline when making marketing decisions. Use the left and right arrows to scroll through the figures. 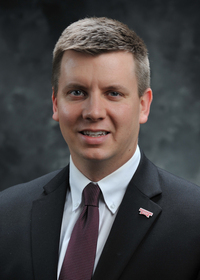 By Brian R. Williams, PhD, Assistant Extension Professor, Agricultural Economics.